Chocolate, or rather, chocolate truffles, teamed with a cup of coffee! Sounds heavenly doesn't it! Allergies can often make it difficult to find safe treats, unless you make them yourself. I’ve written before about how it isn’t as easy to simply go and buy something off the shelf when you have to be mindful of multiple allergies. Now, Callum is like any other child. He loves chocolate, and will always ask for some if we see safe versions when out and about! So, imagine my delight when the lovely Nina from Eat Allergy Safe relaunched her award-winning chocolate truffles earlier this month! 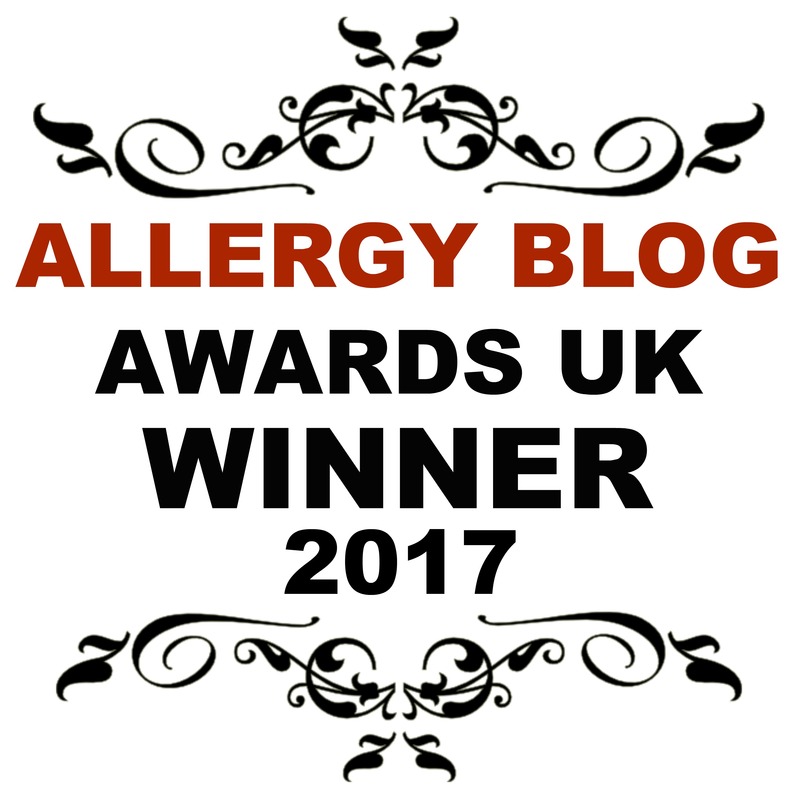 I interviewed Nina a few months ago, when she took part in our popular '5 minutes with...' series and gave us an insight into why she set up Eat Allergy Safe! I’m talking rich, dark chocolate homemade truffles, dusted in cocoa powder. They’re perfect for sharing, or to keep for yourself! And if you’re looking for brownie points they’re perfect for birthday, anniversary and even Christmas presents too! Made using the finest of free from ingredients, these delicious truffles are a blend of vegan chocolate, coconut milk and cocoa butter and a little bit of magic. Nina has created an impressive truffle recipe that is a true delight to eat. Chocolate lovers will be in heaven from the first bite! Callum was so happy to be told they were safe for him, his face lit up! And when he tried one, claimed it was ‘best chocolate ever’ which is high praise from him! As Nina suffers with allergies herself, she knows and understands the importance of being able to cater for such a market. As a result, these beauties are suitable for coeliacs, vegans, vegetarians and free from the top 14 allergens too. How would you like to get your hands on a box?! How would you like to win a box of delicious chocolate truffles in time for Christmas?! What flavour of chocolate truffle would you like to see Nina make next? Win a box of delicious hand made chocolate truffles! I've tried these and fallen in love, I'm not a huge chocolate fan but these are lovely...I managed to eat three in one sitting and you don't get that bloated feeling afterwards. They look delicious :) maybe an oranage truffle? or Mint. coffee flavoured truffles would be nice! They look lovely. Would love to try out the mint! How about apricot, nice and fruity! I would love to try either pistachio, walnut & hazelnut flavours! Black forest gateau would be amazing! Or something with coconut and cherry. A chocolate orange or a raspberry & white chocolate maybe? I love them with any nuts and I'd love a dark one with a liquid orange centre. A TASTE SENSATION,FOR EVERY GENERATION. These sound perfect...I'd love to try a Prosecco truffle. Snowball. As in Advocat and Lemonade! How about a combination of strawberry with blueberry? These look awesome - good gift for my vegan-but-chocolate-loving best friend! And now they've sold out so winning is my only chance. I would love to see a pink gin flavour truffle! I would love to see a mint truffle. Lemon flavour would be nice. I'd love elderflower. Not sure why, I've just had a hankering for that today! I think pistachio crunch would be delicious. Slightly caramelised chopped pistachios dotted in amongst a rich truffle. Possibly adding just a pinch of salt to lift the flavours. Amaretto flavour would be very nice. oh these look amazing! My son is Dairy Intolerant so would be amazing for him to try truffles for the first time. Oh maybe there could be a candy cane flavour! Oooh some liquers would be nice for christmas! Lavender Chocolate Truffles as I love Lavender biscuits. Could be nice. Yum, I think Caramel for the next flavour! I would like a lemon and lime citrus truffle. Rum and raisin is such a treat. Mint liquor, would be nice. Coconut cherry would be amazing! Orange flavour would be lovely. Something with ginger in would be fabulous, or how about a Christmas Pudding flavour truffle?? Something with fudge or peanut butter would be great. Coffee is my favourite and goes well as a truffle! Oh I'd love a coffee one :) These look so good! Gingerbread flavour would be lovely! I love salted caramel / toffee flavaurs! I loved champagne truffles until I found out I was allergic to dairy and gluten so would love to have a dairy and gluten free champagne truffles that would make my day. I think honey flavour would be really yummy. Oooh not sure, maybe a white chocolate and raspberry? How about dark rum and peppermint. I'd like Nina to develop a lime flavoured chocolate truffle. Salted Caramel would be nice. A mix of dark, white and milk all in one. Honeycomb would be the best! Ooh a salted caramel would be incredible!